While the manufacturing stage typically accounts for the largest proportion of embodied energy and emissions associated with the life-cycle of a building product, it is also an area where wood consistently outperforms steel and concrete.24 The process at a lumber mill is relatively straightforward. Bark is removed and logs are sawn. The logs are trimmed to produce smooth, parallel edges, cut to square and precise lengths, dried, and then planed. Finally, the lumber is grade-stamped, and packaged. For mass timber products, which have structural performance characteristics that allow them to compete with steel or concrete in many applications, the process is more involved. For glue-laminated timber, for example, wood laminations are bonded with durable, moisture-resistant adhesives. For cross-laminated timber (CLT), several layers of kiln-dried lumber boards stacked in alternating directions are bonded with structural adhesives to form a solid, straight, rectangular panel. LCAs of mass timber products are discussed later in this course (see "Toward a Sustainable Future"). This achievement can be attributed to state-of-the-art sawmilling that maximizes the quality and quantity of boards that can be cut from a tree, combined with further processing of fiber that is unsuitable for lumber production into composite products such as oriented strand board (OSB) or fiber boards and paper. 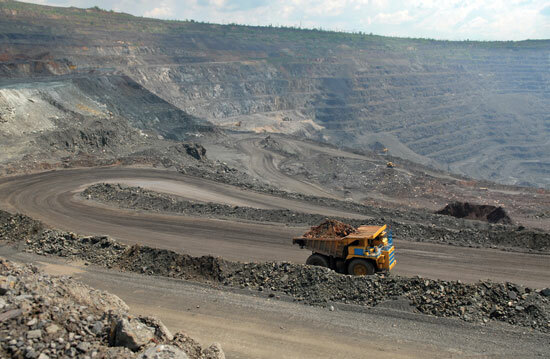 Iron smelted from ore contains more carbon than is desirable. To become steel, the iron must be melted, again at extremely high temperatures, and reprocessed to reduce the carbon, and to remove silica, phosphorous and sulfur, which weaken the steel. Because of their different manufacturing processes, the use of wood products results in far less carbon emissions than either steel or concrete. While the concrete and steel industries are primarily powered by fossil fuels, many lumber companies use woody biomass (e.g., sawmill residues such as bark and sawdust) to fuel their operations. 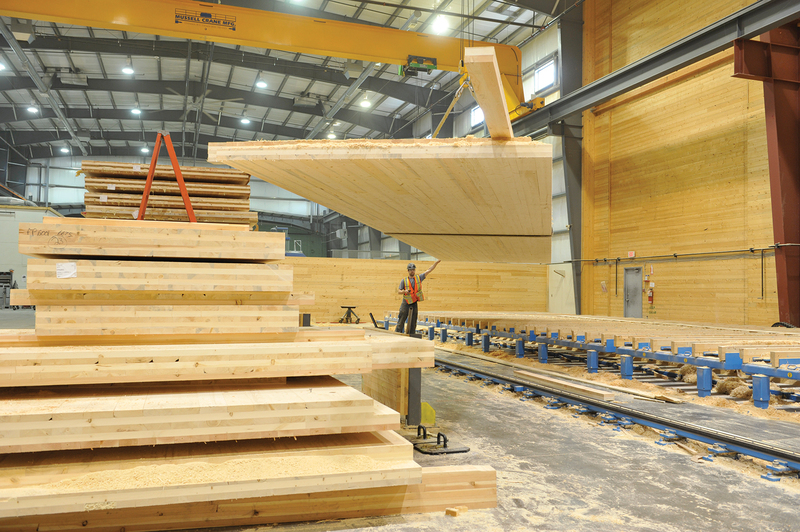 Dovetail Partners Inc., which provides information about the impacts and trade-offs of environmental decisions, calls the North American lumber industry 50 to 60 percent energy self-sufficient overall. To manufacture CLT, several layers of kiln-dried lumber boards are stacked in alternating directions and bonded with structural adhesives to form solid, straight, rectangular panels. According to the Athena Sustainable Materials Institute, which specializes in LCA, the on-site construction stage is similar to an additional manufacturing step where individual products, components and subassemblies come together in the manufacture of a building. Although transportation may comprise a significant portion of the impacts at this stage, the prescriptive approach that says all materials should be produced locally may not yield the best environmental outcome. When life-cycle impacts are viewed as a whole, it may be that the material produced a few towns over is better for the environment than one produced farther away. Or, the material’s manufacturing process may be such that it uses the most fossil fuels and is responsible for the greatest volume of greenhouse gas emissions. LCA helps to ensure that all aspects of energy use are considered. It also accounts for the effects of the transportation mode and not just distance. A product traveling a long distance using a highly efficient transportation method can actually have a smaller transportation footprint than a product from nearer by but traveling inefficiently. While building materials tend to have the greatest environmental impact during extraction, processing and manufacturing, their influence continues into the operations phase. It is fairly well known that wood products sequester carbon and typically require less energy to manufacture than other building materials. However, their performance related to operational energy efficiency is often overlooked. From a thermal perspective, wood-frame building enclosures are, in fact, inherently more efficient than steel-frame or concrete construction. This is because of the insulating qualities of the wood structural elements, including studs, columns, beams and floors, and because it’s easy to add insulation to wood stud walls.31 Options also exist for insulating wood-frame buildings that aren’t available for other construction types. For example, while requirements for lighting systems or mechanical systems do not change based on structural material, wood’s versatility related to building-envelope configuration gives designers more insulation flexibility. For example, between 2004 and 2011, the Bethel School District (BSD) in Washington state reduced energy use by more than 7.6 million kilowatts and saved $4.3 million in utility costs—equivalent to the cost of electricity for 15 of the district’s elementary schools for one year. BSD reports an 81 percent ENERGY STAR rating overall, and several of its 17 elementary and six junior high schools have a rating of between 95 and 98 percent. While the size, configuration and age of the 23 facilities vary, one thing remains constant: Each is wood-frame. 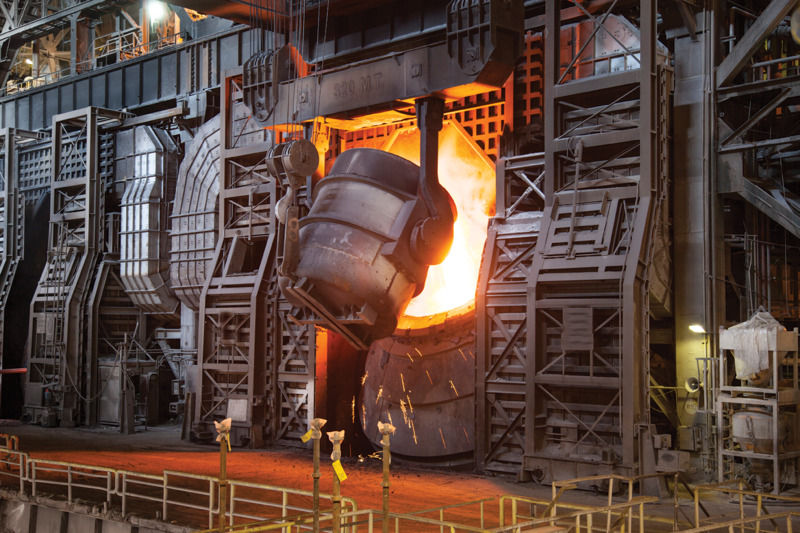 To become steel, iron must be melted and reprocessed to reduce its carbon content and remove silica, phosphorous and sulfur, which weaken the steel. Although not included in an LCA, there is a growing body of research supporting the idea that visual wood in a building can have positive effects on the health, productivity, and well-being of occupants.Humans have a natural affinity for nature. Being in a natural environment—a forest, park, or garden—can make us feel more relaxed. The term “biophilia” refers to this phenomenon. Although most of us understand the connection intuitively, the stress-reducing effects of outdoor nature are also scientifically documented. Exposure to nature has been shown to lower blood pressure, heart rate, and aggression. Nature also increases the ability to focus attention and perform concentration and creative tasks.